In between learning and playing, this dolphin finds time to relax and catch some rays. 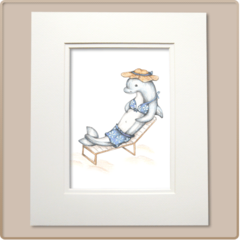 Bring home some fun-in-the-sun with this decorative dolphin art print. Cowabunga!